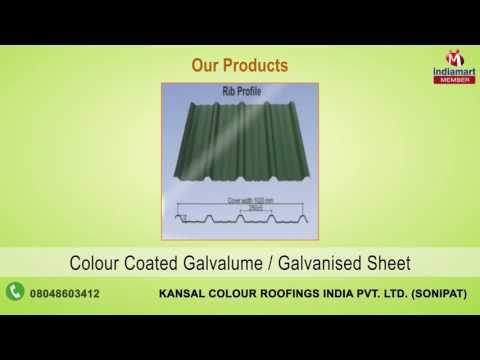 Established in the Year 2010, we %u201CKansal Colour Roofings India Private Limited%u201D are one of the noted manufacturers and suppliers of a wide range of Coated Metal Roofing and Wall Cladding System. Besides, we also provide the widest range of Roofing and Wall Cladding in various profiles, colors and different cover-widths so as to meet each and every requirement of our clients. Further, we provide profiles for roof and side walls along with a range of matching accessories.